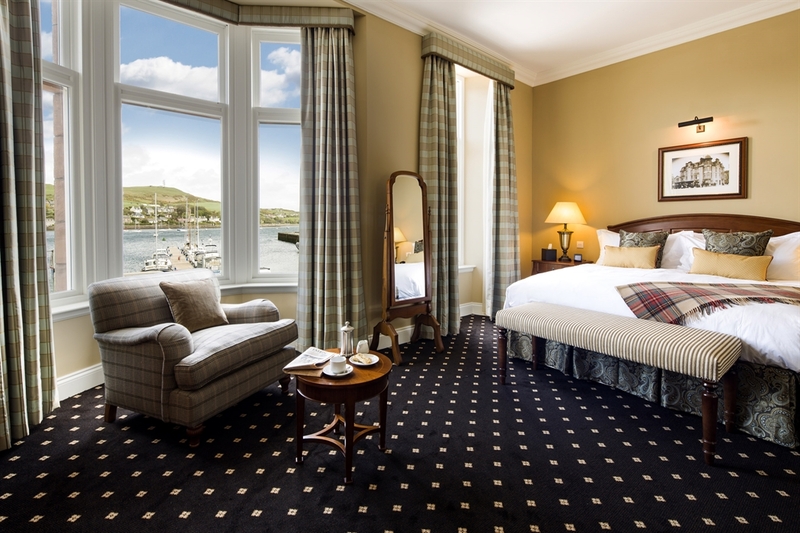 After its multi-million pound restoration, The Royal Hotel has achieved four-star status from VisitScotland. 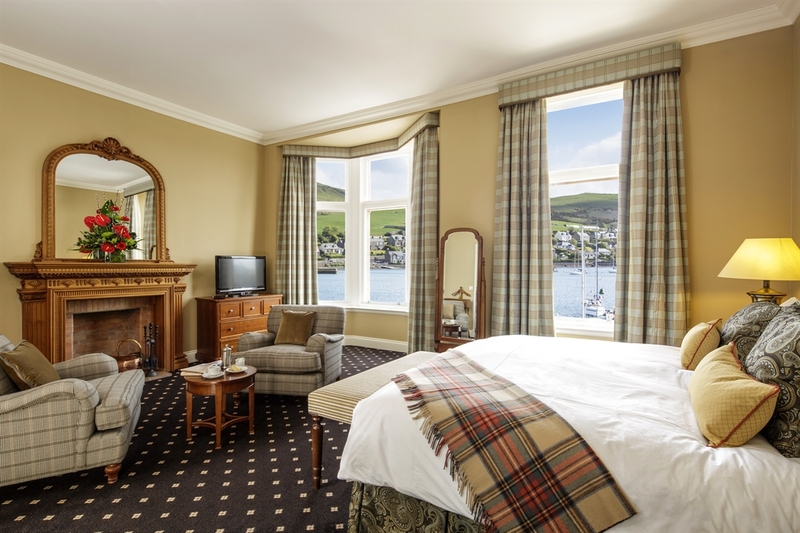 Featuring twenty-three sumptuously appointed guest rooms overlooking bustling Campbeltown Harbour. 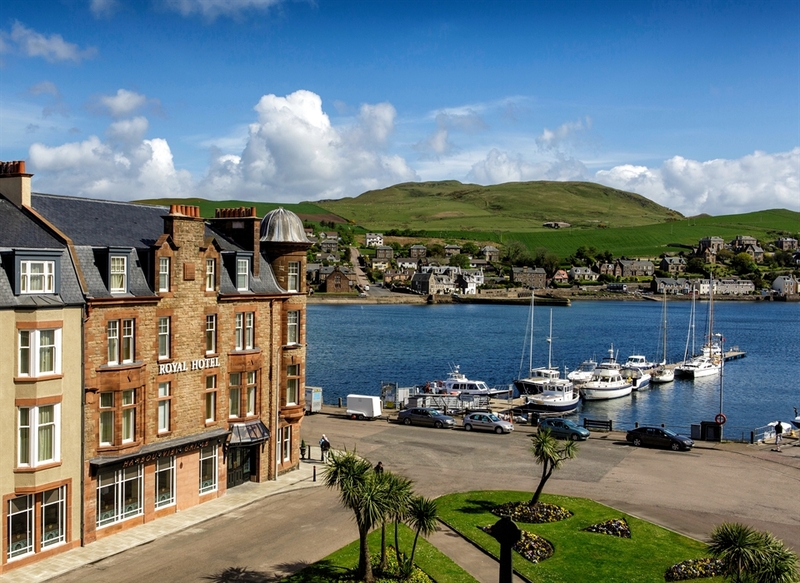 In the heart of Campbeltown, overlooking picturesque Campbeltown Harbour, lies the majestic Royal Hotel. With twenty-three guest rooms, visitors enjoy unforgettable views of the harbour area, with its stone piers, scenic walkways and artisan shops. Within the hotel, you'll find all of the contemporary conveniences and amenities you expect in a modern four-star accommodation, steeped in old-world elegance. The Royal is also home to lively-good times at The Black Sheep Pub and locally-sourced cuisine at the elegant Harbourview Grille. Shuttle service is available for guests who wish to stay “in town” but fancy a visit to The Village at Machrihanish Dunes: The Ugadale Hotel and Cottages, Kintyre Restaurant + Bar, Serenity Spa, The Old Clubhouse Pub, or the Machrihanish Dunes Golf Club.